First of all, when a couple decides to shack up, why does every possession they own really need to spoon the others? You are already sharing a bed, dishware, a toilet...why not keep a little of your own personal identity and give it a little breathing room of its own. I liken the co-mingling of my records with another's to trying to cram the contents of my personal photo albums into theirs. No thank you. Not only do I associate a record collection as something wholly personal and sacred but a total reflection of who I have been and how I got there. Its like a growth chart but with a million times more depth and meaning. Why in the world should anyone surrender something so unique to one's self? To give that up would be like sanding off your fingerprints. When I was in my late teens and for all my 20s, I thought love meant forever. Don't get me wrong, for some lucky few it is, but for many of us, you will have many loves during your lifetime. There is also a great possibility that you will also share a home with many of these loves. And when / if you split up, you will have to go through the annoying and agonizing process of dividing the things in your home.That process is devastating no matter what but what happens when both of you begin tugging on some of the same items to claim them as your own? Most record collectors don't like to loan out their records to their best friends (we are a weird bunch) so try to imagine these very people trying to dissect their collection piece by piece in effort to stake their claim on what they rightfully believe is theirs. It isn't a pretty site. Keeping your collections separate from the start will not only be a time saver (if God forbid you are to part ways) but it spares both of you the petty creepy arguments about who should get what which when you have a collection of 5,000 or more can be days if not weeks of nightmarish back and forth. Trust me on this, I speak from experience. 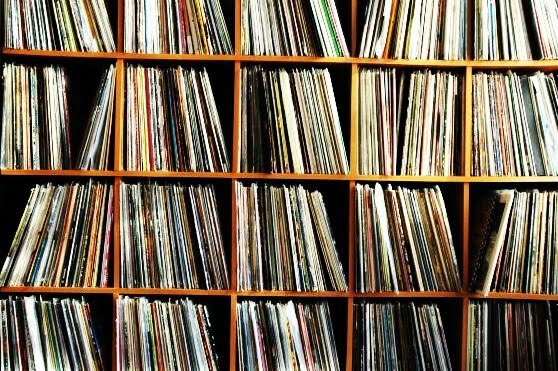 Again, not a big deal if only one of you collects music but if both of you are avid collectors, you haven't known war and pain until two record fanatics with one big combined music collection decide to call it quits. Within the bubble of innocence and naivete of my youth I didn't dare dream that the love of my life could fade or leave. I seriously and stupidly thought living with a boyfriend meant a surrender of self and a fusing all that was me to the one I loved. While many of you will probably be thinking "lighten up...stuff is just stuff"....for a serious collector of really anything (comics, records, toys...), it isn't really just stuff. For me, and for many, records represent a time, a place, people; much like a photo does. BUT I don't have photos that got me through the hardest times of my life. Beyond all the memories attached to where and who I was when I was listening to a record a lot, many of these records as great pieces of art and reflections of human emotions, have brought me much comfort during my darkest days. There are very few items in my home I can say that about. There are a few books and movies but as a record collector, music has been a friend, a therapist, a party catalyst, a late night companion on a long drive....the list goes on and on. Music has been nearly everything to me at all times. Truthfully, how many things in your life can you say that about? Some people find the recommendation of keeping collections separate blasphemous but it is usually because A) they aren't record nerds or B) they have never had to split up a big collection of anything with another. I recently met a couple in the record store I work at who had between together for 15 years. I listened to their conversation about the various records they had pulled out and one thing became increasingly clear. They had not nor did they ever combine their record collections. They assured me that it was something they never intended on changing. Each collection represents a map of their life, a one of a kind personal history that tells its own story, and each one of them has it placed in an order unique to their own taste. They revel in a joint passion that carries a boundary on a shelf. They enjoy helping the other curate and grow their magnificent separate collections (which inevitably they do share by listening to them together in their home.) When asked about buying doubles, they weren't ashamed to admit that knowing one of them already owns a record doesn't prevent them from buying it again. Much like their outlook on their relationship, two IS better than one. 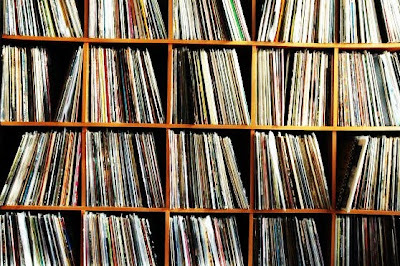 * If you are one of those people who only own 30 records or something, this post doesn't really apply to you. (Not to belittle you but that isn't a collection, that is more like a box of donuts.) This post is for those of you with at least a hundred or more. nothing wrong with a box of donuts. or two. and some of us will probably have no loves during our lifetime, much less many. and we're not willing to blame the donuts. We combined our collection. I have no regrets. A the same time we produced a child and my eccentricities are such that no one else will have me, so i plan on staying with the wife forever. Crom Movie ! ! !